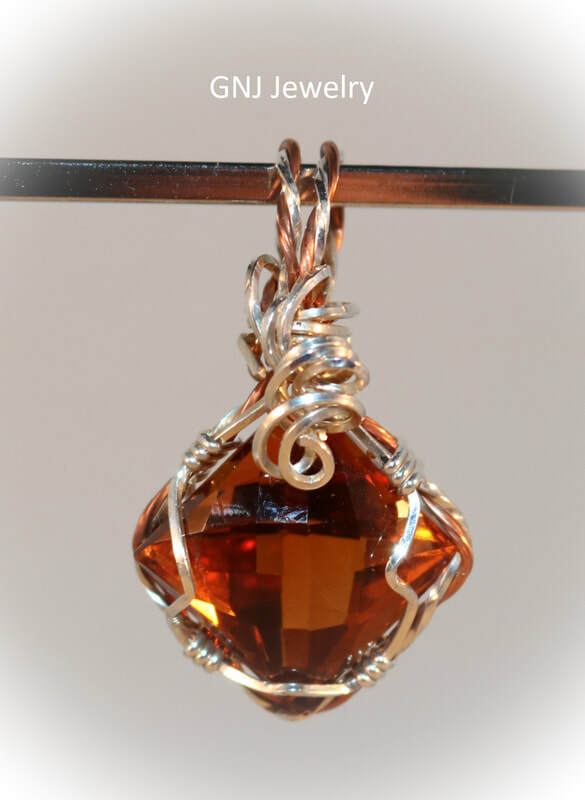 Pendant is wrapped in gold-filled wire, is 1" in length including the bail, 1/2" in width. A Cobalt Titanium Druzy wire wrapped in sterling silver . The pendant measure 1 3/4 inches in length, 1 inch in width at the widest point. Confetti Sunstone wire wrapped in gold filled wire. A 2.3 carat, pear shaped Amethyst wire wrapped in sterling silver. A blue marquis agate druzy wrapped in sterling silver. The pendant measure 1 3/4 inches in length and 3/4 inch in width. 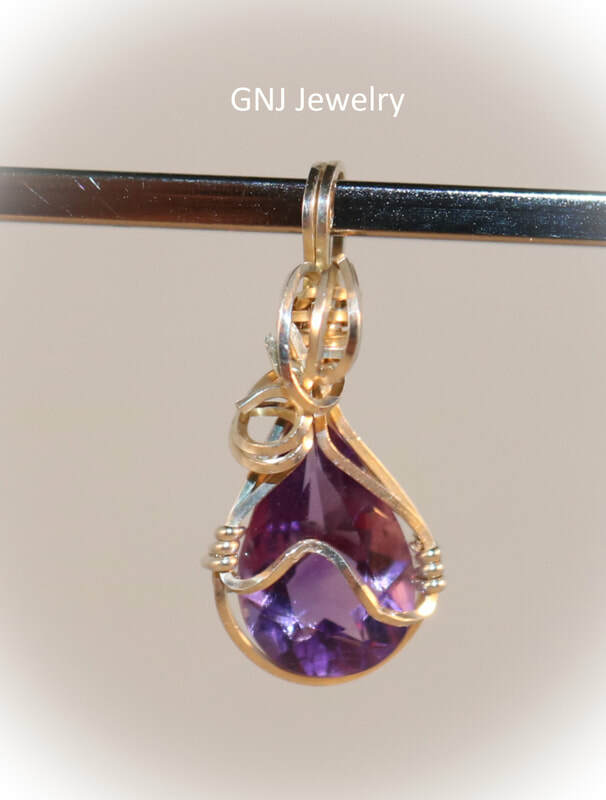 A beautiful 9 Ct. Bi-Color Ametrine wire wrapped in Gold Filled Wire. Rare Faceted Optical Black Tourmalinated Quartz with wire wrapped in gold filled wire. This stone is highly rutilated and is a very high quality. A 60.37 carat Bolivan Ametrine that is sure to draw attention.. This regal beauty is wire wrapped with gold-filled wire. A faceted aquamarine cabochon of a light green and is wire wrapped in sterling silver. ​I photographed it so you could see the side and bottom details. 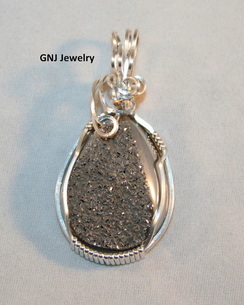 The pendant measures 1 3/4 inches in length and is 3/4 inch wide.